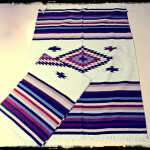 Waterproof, breathable, sand color, decorated with beautiful geometric design. 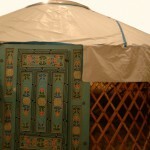 The cover offers good protection at the same time that gives a traditional appeareance to the Yurt. 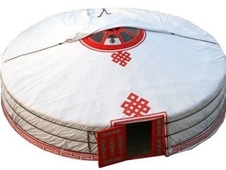 Our yurt cover provide protection against rain, sun and wind, protecting all interior elements of the Yurt. 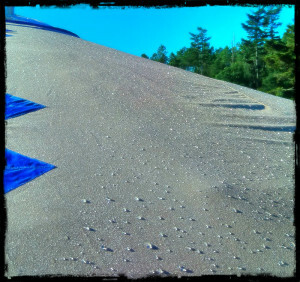 We have exterior covers in beige color with traditional geometrical designs in colors. The cover includes reinforcements for wind and extra flap on the door! -You can add a hat to the cover order. 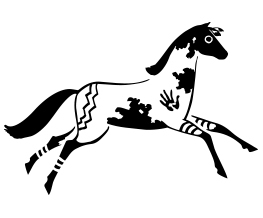 -You can add horse hair ropes to the cover order. -You can add protection bottoms (rayartch) to the cover order.